All you need is 5 minutes and a place to rest to take this test. Developed in conjunction with leading researchers, Polar’s wrist-based Fitness Test determines your current fitness level. 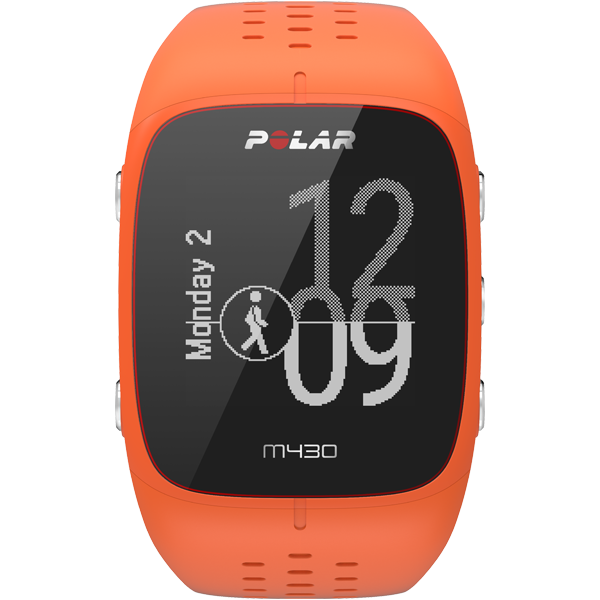 Establish your baseline and measure your progress using Polar M430’s optical heart-rate technology. To be your best, running efficiently is key. Polar’s exclusive Running Index interprets your speed and heart rate data, then delivers easy to understand insights about your current condition, likely race finish times and more. Polar’s new, proprietary sleep intelligence system gives you a comprehensive overview of your sleep by monitoring your movement with extreme precision. Polar Sleep Plus™ provides feedback to help you achieve your best night’s sleep. Need some motivating feedback after your workout? Polar’s Training Benefit immediately explains what type of physiological benefit you gained from your training. Nutrition and training go hand-in-hand. The M430 tells you exactly how many calories you’ve burned so you can effectively refuel and recharge. It’s what you do in between training sessions that can make or break your next run. The M430 records your steps, distance, calories burned, and sleep so you can measure how the rest of your day impacts your running performance.